In this broken world that we live in, we will all face many different types of losses – we may lose loved ones, relationships, jobs, financial security, physical capabilities, cognitive functioning… the list goes on. How should we react when loss comes across our path? Does God have anything to say about our losses? Is there any way we can have hope in the face of loss? 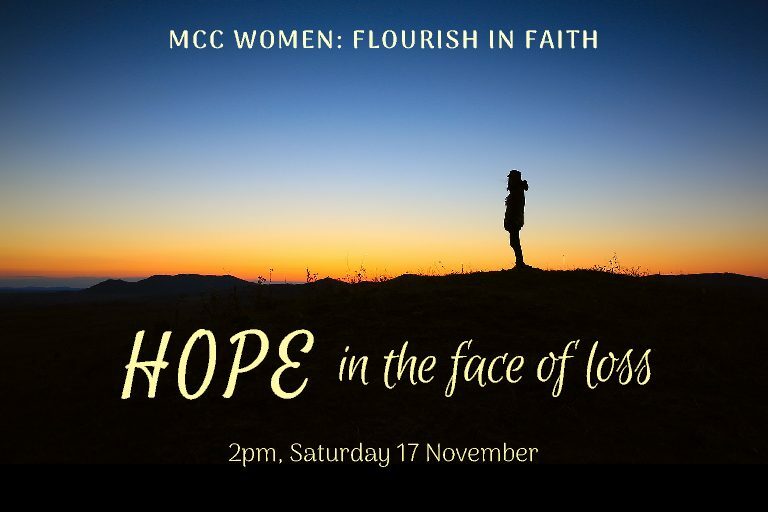 Come along to our women’s afternoon at 2pm on Saturday Nov 17 as we think through these questions together. Afternoon tea will be provided and Kate Kristensen will share some thoughts on this subject. Child-minding will be available – please RSVP as early as possible if required.